19" x 14" x 8", 10 lbs. 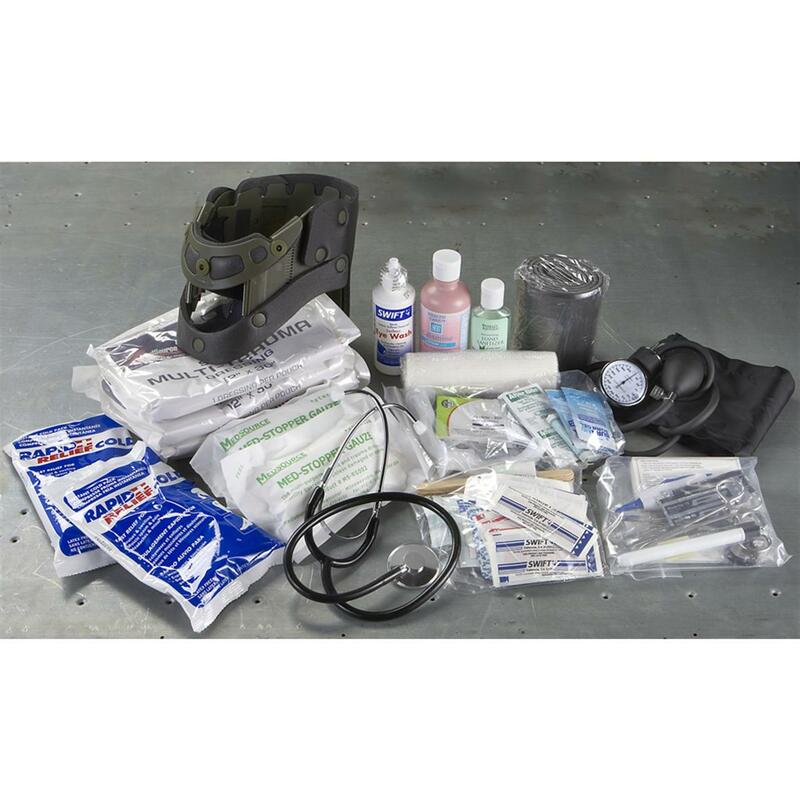 Elite First Aid® 230-Pc. 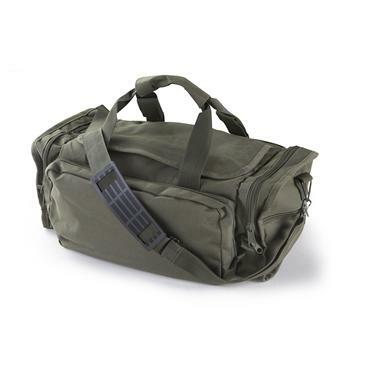 M39 Medic FA139 First Aid Bag is the "active duty" choice for military and law enforcement! 230 pieces in all... everything you need to treat minor injuries is in the bag! You get the full range of supplies, from bandages, to burn kits, to surgical equipment... all neatly organized in the quick-access shoulder bag. Made from tough nylon, and measures 19" x 14" x 8", weighs 10 lbs. fully stocked. Trust the Kit the pros use: the M39 First Aid Bag! (16) Bandage strips, 1" x 3"
(5) Bandage strips, 2" x 4"
(3) Multi-trauma dressing, 12" x 30"
(2) Triangular bandages, 40" x 40" x 56"
(10) Sterile sponges, 4" x 4"
(10) Abdominal pads, 5" x 9"
(1) Calamine lotion, 6 oz. (1) Hand sanitizer, 2 oz. (2) Emergency blankets, 52" x 84"
(8) Pairs of latex examination gloves.